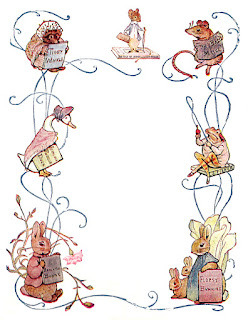 Oh, I love Beatrix Potter! 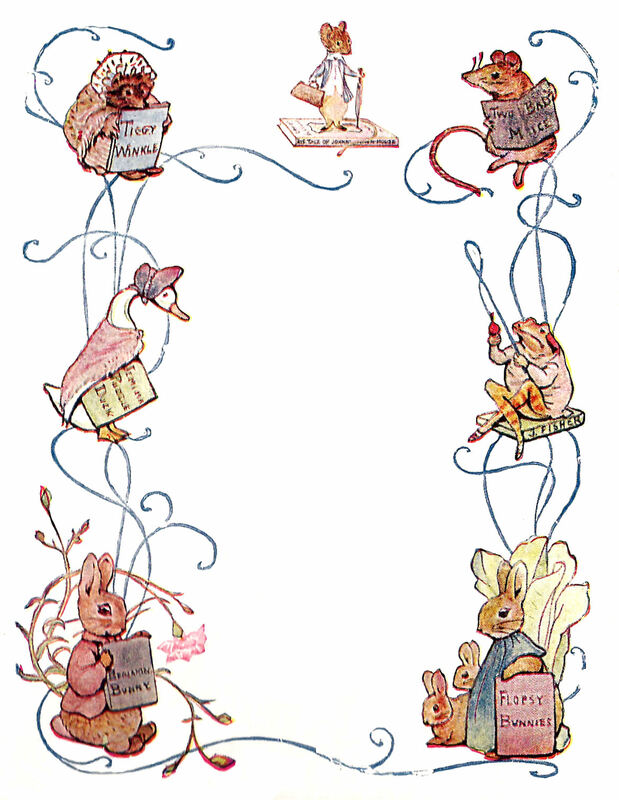 Today I've posted two digital animal frame download designs that I created from the 1918 Potter book, The Tale of Johnny-Town Mouse. Within the inside covers, this is the pretty frame design. However, I've changed the antique illustration just a bit so that it's a perfect frame. 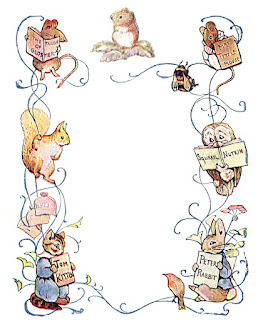 All of the animal characters, Peter Rabbit, Tom Kitten, Squirrel Nutkin, Flopsy Bunnies, Tiggy Winkle and the others were around the edges of the frame, but the two animal images at the tops of each frame, the mice from, The Tale of Johnny-Town Mouse were originally in the center of the frame. 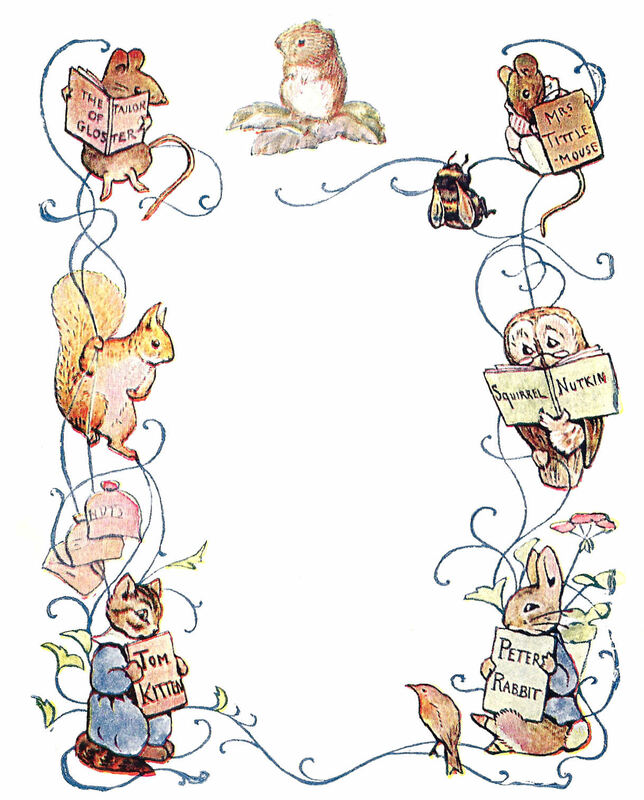 These Beatrix Potter character illustrations are perfect for any child's project!